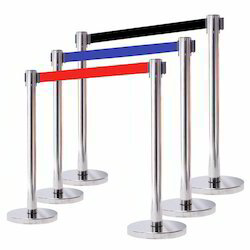 Our range of products include classic stanchions, eco stanchions, floor stand- stanchion sign holders, stanchion sign holder, stanchions sign stand and steel stanchions post. Backed by the years of experience, we are engaged in manufacturing & trading a quality range of Stanchions ECO. These products are considered as the guardian fall protection goose that is precisely designed to use with the warning line. As well, Offered products are obtainable on different specifications to meet the frequent needs of our esteemed clientele. Our products are useful at exhibition center, new launch of cars/bike, showrooms. Backed by the years of experience, we are engaged in manufacturing & trading a quality range of Stanchions. These products are considered as the guardian fall protection goose that is precisely designed to use with the warning line. As well, Offered products are obtainable on different specifications to meet the frequent needs of our esteemed clientele. Our products are useful at exhibition center, new launch of cars/bike, showrooms. 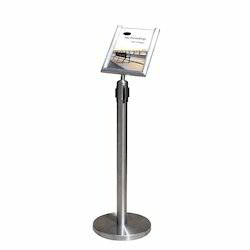 Keeping in mind the diverse requirement of the clients, we are offering Stanchions Sign Stand. Offered product is developed by utilizing top quality material & leading techniques keeping in mind the set norms of market. 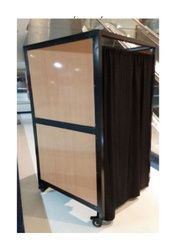 This product is comes in various specifications so as to meet the demand of customers. The offered product is examined by our quality controllers on diverse parameters so as to dispatch a perfect range. With a firm commitment towards quality, we have been able to offer a comprehensive assortment of Steel Stanchions Post. Our provided products are developed keeping in mind the norms of market using top quality material & contemporary techniques. These products are provided in numerous specifications according to the needs of clients. The offered products are tested in terms of quality in order to ensure its defect free range. Direct your crowd physically and visually. 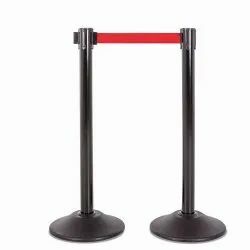 This set of stanchions includes a sign post so you can get keep your crowd’s attention while ushering them where you need them to go; perfect for theatres. 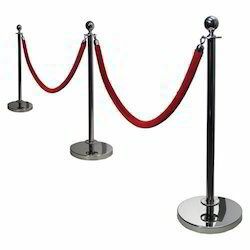 These stanchions are made of stainless steel so they measure up to all your crowd control demands. 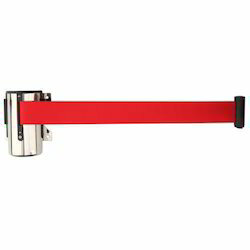 Looking for Stanchions Post ?